February 12, 2019 | by: The Morning Show with Colin! Google is reportedly taking another giant step in its mission to take over people’s lives – by developing “smart” shoes that can warn the wearer if they are getting fat. The search engine’s health division Verily is said to be designing footwear embedded with sensors that can tell how much the user weighs and monitor their activity. Parent company Alphabet has been showing off prototypes of the “lace-age” shoes as developers search for a partner to build and market them, according to CNBC. 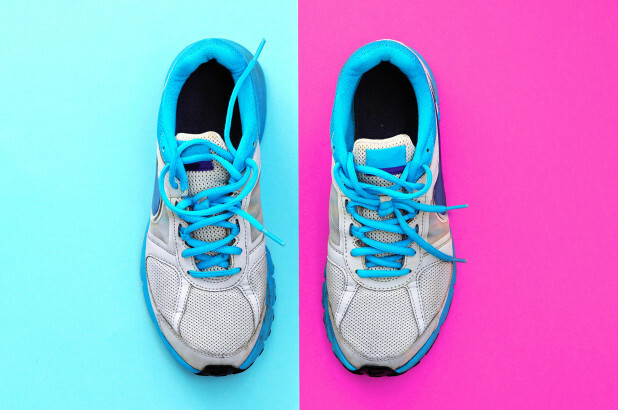 As well as monitoring fitness levels, the shoes can also be programmed to detect falls – meaning they could appeal to older customers as they could send alerts to families or carers. Similar “fall detection” technology was placed into the tech giant’s rival Apple’s high-tech watch last year. They could have the potential to warn of congestive heart failure – a symptom being sudden weight gain through fluid retention. Verily has so far refused to comment on the rumors. Despite the apparent benefits, there will be fears the smart shoes may encroach on personal freedoms – and may even hit wearers’ pockets. The Wall Street Journal recently revealed that insurers were monitoring how customers behave online to assess their health. It comes after Verily released “smart” contact lenses that can monitor deterioration in the eye.